Leading Edge (LE): What initiatives have you been developing since 2016? 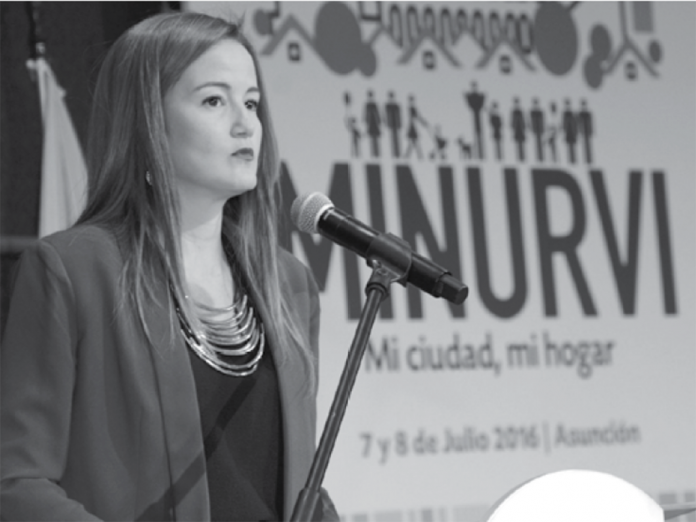 Soledad Núñez (SN): We are supporting housing programmes, especially for vulnerable groups. We have just finished more than 20,000 units, representing a very important milestone in our country. In rural settlements, the impact is not only socia but also economic as their construction creates employment. This year we will exceed 3,000 houses that have been provided to indigenous communities. LE: Have you set any other significant targets? SN: We are leading a portfolio of strategic projects, such as one implemented with an Inter-American Development Bank loan. With this, for the first time, we will have an integrated neighbourhood improvement programme focused on the emblematic Chacarita neighbourhood. This project is already underway and seeks to relocate around 1,000 families from the low area, which is liable to flooding, to the neighbourhood of San Francisco. In the case of this neighbourhood in particular, the construction of a new city model is also planned with a programme that is being implemented with bi-national Itaipú resources. LE: What other projects are being developed that are similar to Chacarita? SN: We are working with the Ministry of Public Works to relocate some 500 families affected by the building of the North Coastal Avenue. Another project is the Mariano Roque Alonso residential complex for middle-income families, managed by the private sector and involving the construction of around 3,000 homes. We are dividing 17 hectares into macro plots that will be available to developers interested in building affordable housing. We will create an agreement through a trust, where the public sector will provide the land and energy and the private developer will build the housing. LE: How does the Ministry use new technologies? SN: First, we prioritise transparency through the development of an open data platform with all the information available for citizens. In addition to this, we are involved in a technical partnership for the modernisation of the entire project administration system. Until now, our programmes with higher resources were managed on paper but we have a new goal of going paperfree. It is an enormous challenge, and particularly a cultural one. LE: Could you explain how the SENAVITAT indigenous community projects work? SN: All our programmes take a major social intervention approach, but with indigenous communities we also want the design of homes to incorporate certain indigenous cultural elements, depending on specific preferences. The process is very dynamic, because we continuously assess whether the families are in agreement, and they are included in the construction process, thereby generating income for the area. LE: What are the challenges and opportunities in urban development and housing? SN: I believe that Paraguay is in a unique position in the region, because it is the least urbanised country, giving us the advantage of knowing in advance any negative effects of urbanisation that other countries have suffered. Added to this is a demographic advantage and a notably young population which incidentally will itself need housing in the next decade — something that needs to be resolved by the public and the private sector working together.